When I was younger, I studied English language as one of my A-levels not really as a choice but because I had to study something and English happened to be one of the options available to me. As part of the course I was required to listen to the radio and read newspapers to try to understand the basics of the linguistic patterns. I realised then, at a very young age that sounds have a huge effect on my soul and heart. I felt uncomfortable with the sounds of the news reports I was listening to regularly and the styles of music that dominate the airwaves. I didn't really appreciate the studies I made as I was only really trying to just 'make the grades' but I was fascinated with the effect sonic vibration can have. I am now reading about how words and symbols can unlock infinite worlds in us as human beings. 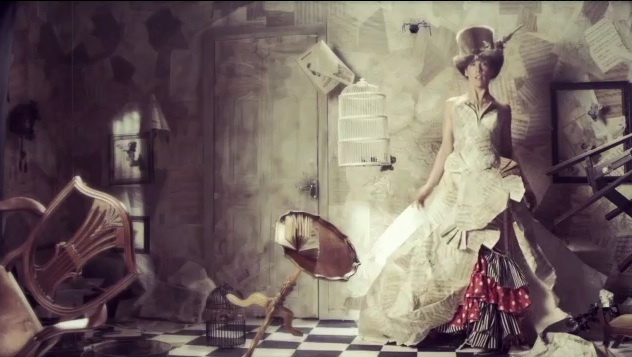 I realise that as a musician and lyricist I can unlock parts of other human beings with the sounds than I may create. I would like to further these studies now. I stopped reading newspapers after my studies all those years ago. I gave up my television back then and have not had one since and I now only listen to the radio very occasionally and am very careful about what vibrations I immerse myself in. I realise how affected I can really be by sounds and words. When I return to the UK I shall spend my time sifting more information about this and am going to begin learning about symbols, as I also see that symbols, too, can really unlock such depths in us as humans. These symbols are everywhere and it seems to me are also imprinted in our DNA. I am going to take a long break when I return (I am in Essouira) to study, learn, grow and unfold. I have an amazing little art and music studio with a wonderful Wurlitzer piano and many paints and papers that I have collected from all over the world. I am ready now to create a brand new collection of songs and visual pieces and will begin to study and see what takes shape. I wish you well. Love. Diiiiiing Donnnng Dinnnng! It's here! 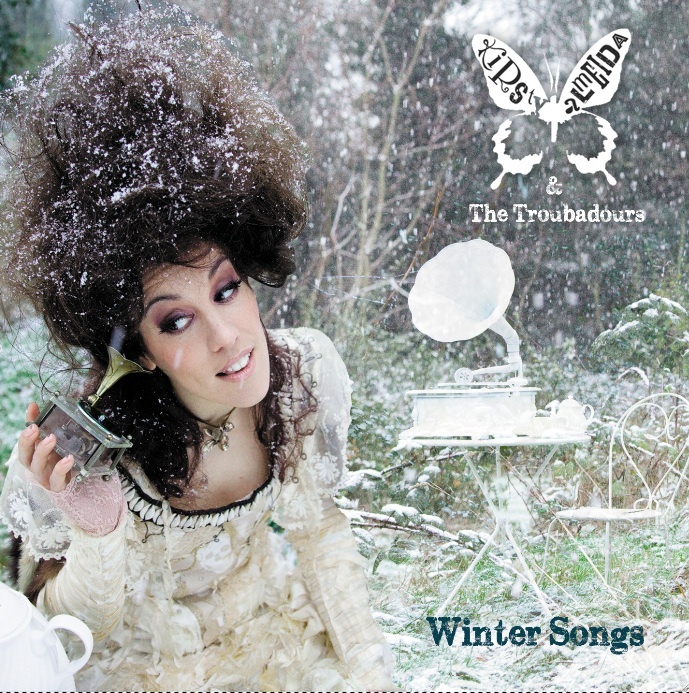 Winter Songs, our new album has landed - brand new sparkly wintery artwork and full of the sound of cinnamon and cloves. You can download it from itunes or get your own beautiful copy right here from me and I will wrap it up and send it straight to your door with a Christmas wish. The album is filled with Winter Songs and Christmas songs - both original and some of my favourites. Amazingly played by the Troubadours and some special guests I really think it will make you feel real nice and Christmassy. 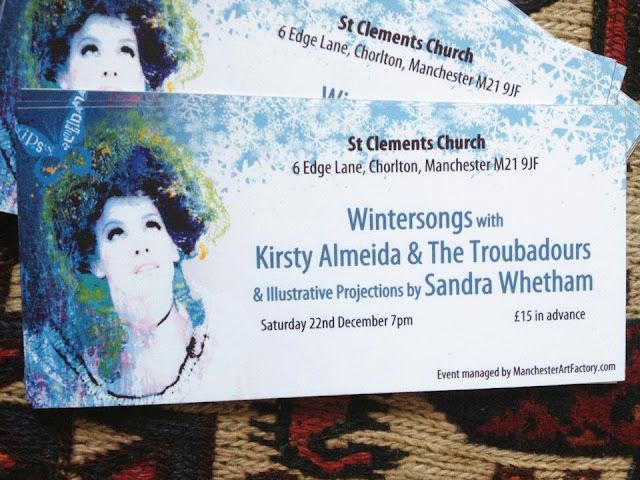 Artwork by Sandra Whetham who's made it really really special - get your hands on a copy here and I will post it to you anywhere in the world x Happy Winter! Wintersongs is available as a pre-order as it will be landing in our sparkly studio in 2 weeks. You can order yours here and you'll receive a special wee gift from Kirsty too. Exciting times! Lots of them. I am learning, changing, growing, glowing and collaborating. On Thursday, I will be at the Manchester Art Gallery sharing my new collaboration with amazing science artist and musician, Ed Briggs, the wonderful mad music professor. We begin our full rehearsals today, which is very exciting and the music will be music made from paper to open the Manchester Exhibition, 'The First Cut'. On Thursday I will be opening for the Manchester Weekender which will also open that evening. So... come - it's free and I will perform two shows - one at 7.30 and one at 8.30pm - the exhibition will open from 6pm. Click here for details on the First Cut exhibition and here for details of the Manchester Weekender which really is worth coming to Manchester for - lots of wonderment this weekend! 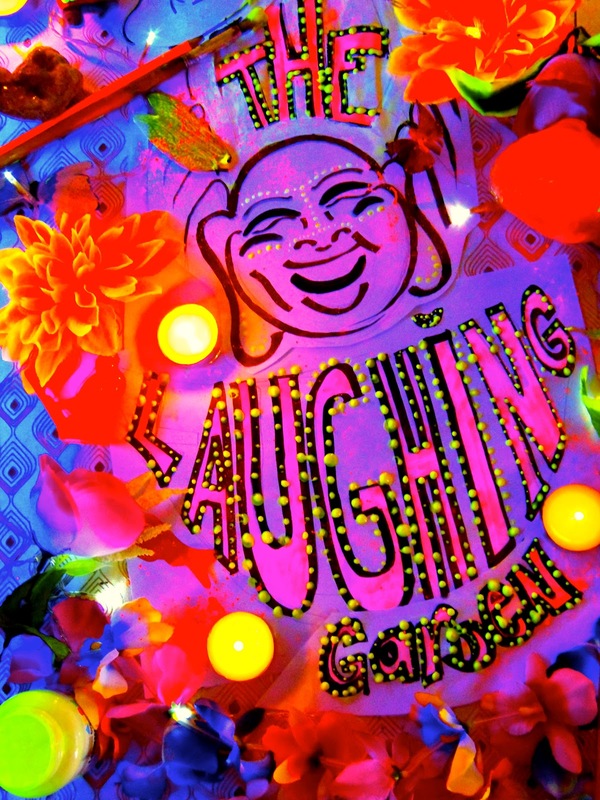 I have been commissioned again for the Bury Light Night with Alice Morter to make a special new sparkly piece of art and we are creating the Laughing Garden which is a recycled garden filled with beautiful and positively glowing art in the centre of Bury. It really will be filled with laughter as we have four laughing yoga classes. Finally, a new website is on it's way and shall be revealed with a new version of my last album which we ran out of and are getting lots more printed - it's now called DejaVoodu and Sandra is putting final touches to that too for me. This will all be released with a brand spanking amazing new video for 'If You Can't Make Me Happy' shot in a female wrestling ring with amazing wrestlers, Pippa L'Vinn and Shelby Beech. It's fun. If you haven't already please support my new project and mission here - I'm halfway there! I will write a nice blog soon that's not just press and dates but it's wonderfully hectic at the moment so I am creating a lot and not thinking very much. Good times. I wish you well. This blog is a short one to share my next plans. There a few. I shall begin the Paper Music Project next week with Edward Briggs in Brighton. Ed and I shall make music out of Paper and share it with you at the Manchester Art Gallery on the 11th of October at 7pm (2 shows that evening) to mark the opening of the 'First Cut' Paper exhibition at Manchester Art Gallery and to launch the Manchester Weekender - featuring Rob Ryan and lots of incredible artists from around the globe. Its free. Also, Alice and I embark on the Laughing Garden at Bury Light Night (20th of October from 7pm) - also free. More about that soon. I shall be recording an acoustic album next month and am putting a few new tunes together for it - this is a wee collaboration with Katie Tavini and will feature a few lovely guests. Lastly, I have set up a pledge music project where you can pledge a bit of money towards us making a video for the Plastic Bag Song (part of '30', the album) in return for some exclusives from me. The way it works is that you pledge some money toward the project in return for either a T-shirt handprinted by me or a handmade copy of my acoustic album or a copy of '30' - there are all sorts of new goodies to pick from and I will put your money towards making a video that will hopefully raise awareness for the damage plastic bags are doing to our planet and get non-biodegradeable plastic bags banned in the UK. You don't actually give me any money till the project is completed - you just pledge to support should I get it done. 20% of any profits will go to Greenpeace and if there are any other profits I shall give it to all the artists and engineers involved. Please support this - it means a lot to me. Thank you.